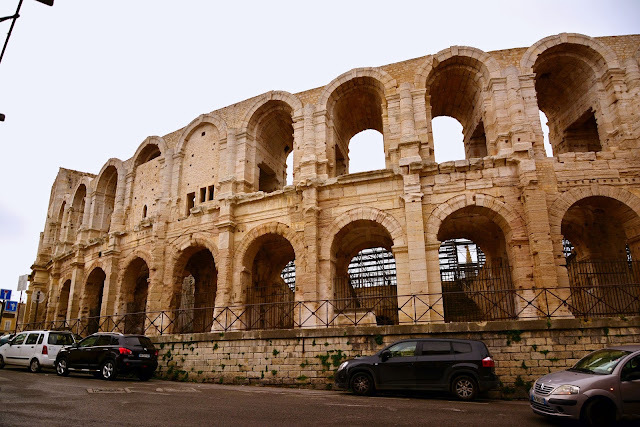 The Paris Feast: Arles, where Van Gogh found his inspiration. In the 1860s a few young painters were routinely rejected by the Académie des Beaux Arts of Paris for not portraying historical and religious themes in their paintings. This forced the then Emperor Napolean III who was already out on war against the Academy to organize the Salon of the Refused and this gave birth to a new art movement, that of painting landscapes and still life, just in the way they appear in reality, the Impressionism. Quoting Manet, these painters actually did what they saw. 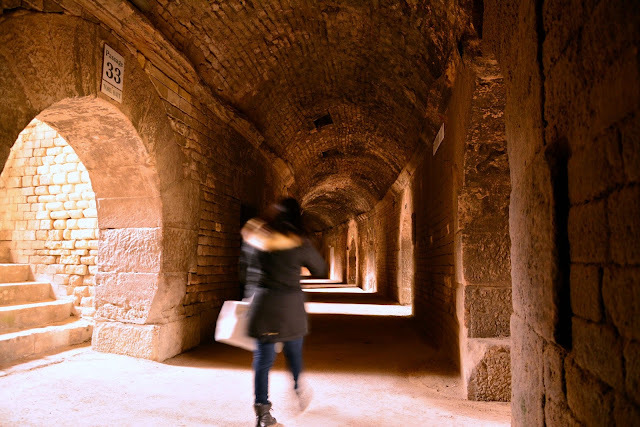 This blog post is about a town in Southern France, so how does this movement fit there. When the artists of Paris were revolutionizing art, the brother of a Dutch art merchant arrived in the city in 1886. A self-taught painter, initially disapproved art as being merchandise, came to be inspired by the impressionists of Paris. 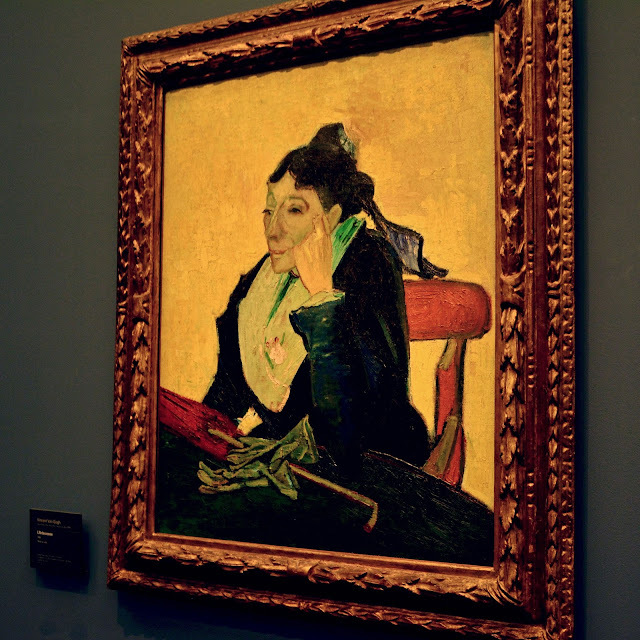 Here amidst Monet, Renoir, Manet, Cezanne, Toulouse-Lautrec, Degas and others, he found his own art form and thus from the young rebel painter, Vincent Van Gogh, another complementary art form, the post-impressionism was born. 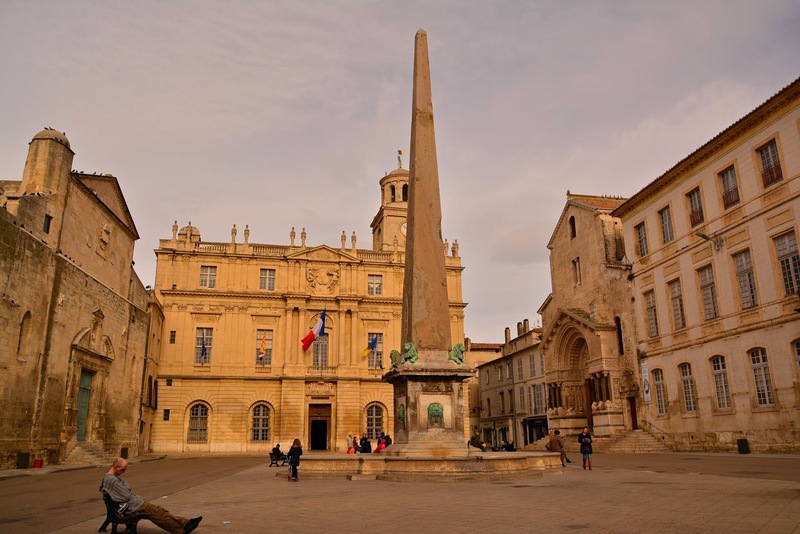 But he did not stay for long in the capital; his quest for tranquil and unique experiences led him south, to the town close to Marseilles, Arles. Van Gogh arrived in Arles on 20 February, 1886 and for the next 14 months he realized numerous paintings of the town and its surroundings which are considered as some of the major master pieces of 19th century art. Van Gogh was interested in a Japanese technique called the Ukiyo-e which requires bright sharp colors and delineated contours and the landscape surrounding Arles had exactly what Van Gogh was looking for. Bright sun, colored facades, wide basin of the Rhone and lustrous yellow fields were thus made immortal in over 300 master pieces. During his stay in Arles, Van Gogh lived at 2, Place Lamartine, famously known as the yellow house. This place can be found a few meters from the Arles station though the house was demolished long ago. 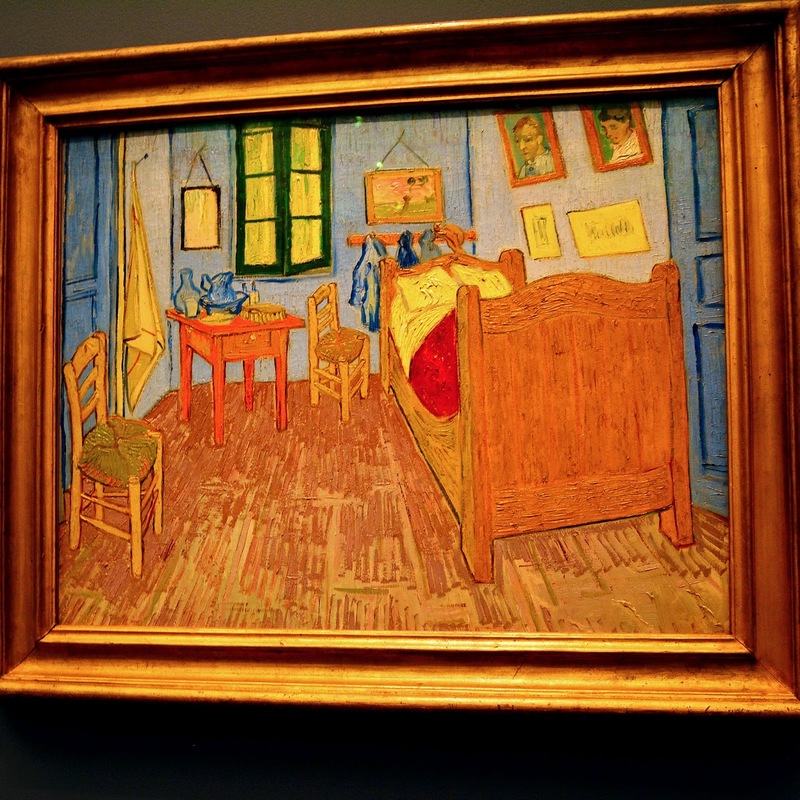 It was in this very house that he painted his Yellow Room which can be seen in the Musée d’Orsay, Paris and is one of the most celebrated Van Gogh painting. The first thought that haunts on the mention of Van Gogh is galactic dark blue skies, vibrant nights with animated skies. In fact Van Gogh himself claimed that nights are more vibrant and colorful than the day. This is the very reason why he realized many paintings of colorful night skies and nocturnal activities while in Arles, and some of the famous ones are the Starry Night over the Rhône and the Café Terrace at Night. Both these locations at Arles are marked by plaques with replicas of the paintings. The later, Café at Night is marked by a restaurant of the same name and the façade replicates Van Gogh’s imagination and creation. However the restaurant has no connection to the probable café painted by Van Gogh apart from the location. Apart from the 3 paintings mentioned above, the locations of 7 other paintings of Van Gogh are also marked at different locations of Arles each with the replica of the paintings. For example the Roman amphitheater of Arles which is the most important landmark of Arles. 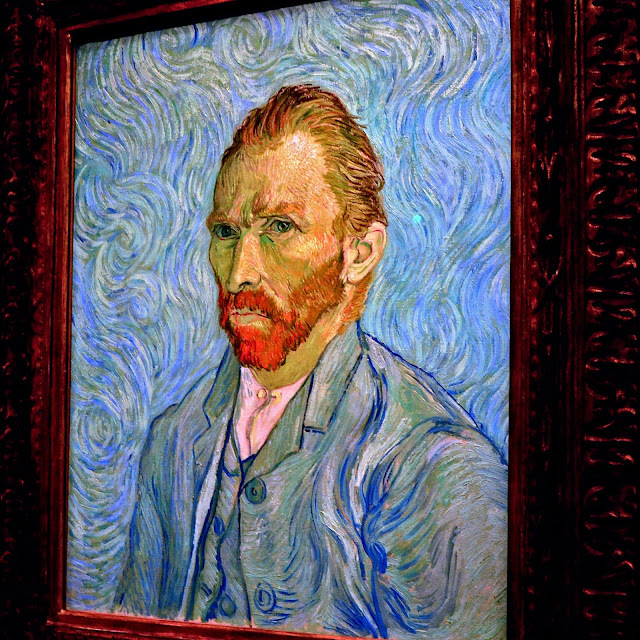 During his stay in Arles, as throughout his life, Van Gogh had fits of delirium and depression. One such fit was triggered by the visit of Paul Gaugin in Arles in late 1888. The two had an interesting love and hate relation and had frequent quarrels. The day Gaugin was about to leave Arles, an altercation broke out which caused Van Gogh to severe his own ear with a razor. Following this he spent a few days at the Hospital of Arles which is also immortalized in one of his paintings. 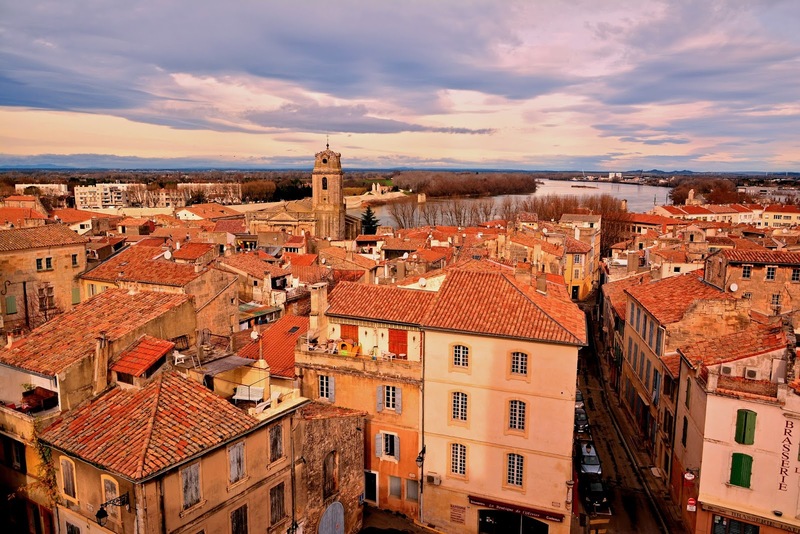 Arles itself is a very charming town on the Rhone, lying midway between Marseilles and the historic city of Nimes. The Rhone river forks just before entering Arles and before draining into the Mediterranean Sea, it forms the Camargue delta which itself is a part of Arles. 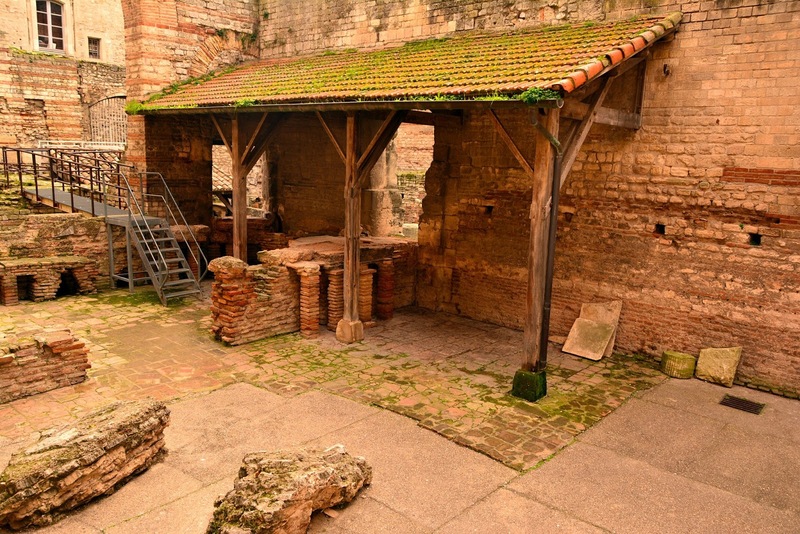 This makes Arles the largest commune of France in terms of surface area. The city was found by the Romans in around 120 B.C. and it reached its height when the city supported Julius Caesar against Pompey, while the later was supported by Massalia (Marseilles). Though being the important port with canals leading to the Mediterranean under the Roman Gallia Narbonensis, it could hardly overtake its neighbor Marseilles and thus remained a quaint town of Southern France through-out the Middle Ages and Modern times up to the era when Van Gogh lived here. Do not miss the narrow alleys and corners of this town. 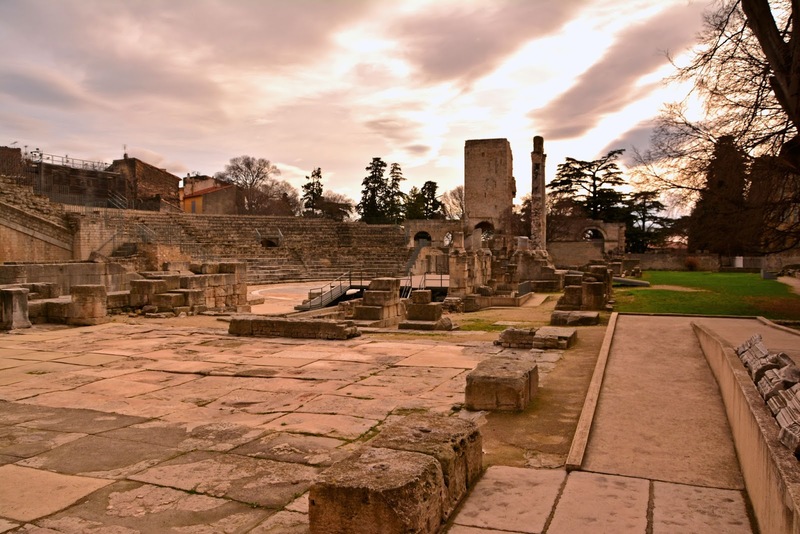 The main sights are of course the Roman relics which have been classified as UNESCO World Heritage sites since 1981. 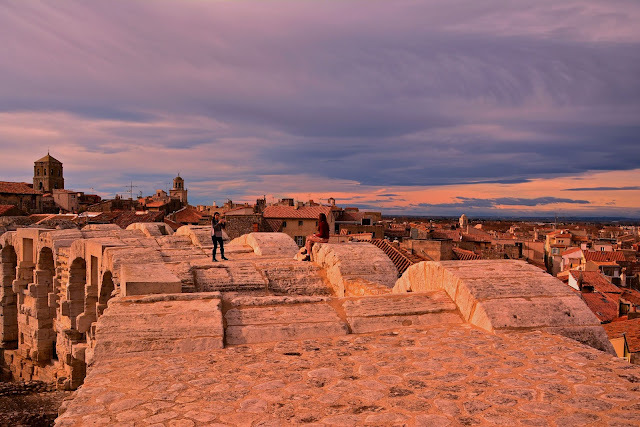 Teleport to the Roman era with a visit to the Roman Amphitheatre around which in fact the entire city was built, and which has probably the best view of Arles from its tower. The Amphitheatre also has passageways accessible to public which are indeed interesting to explore. There are also the ruins of a Roman bath, the Thermae of Constantine, which you can visit and experience first-hand the techniques used in such baths, a couple of millennia ago. 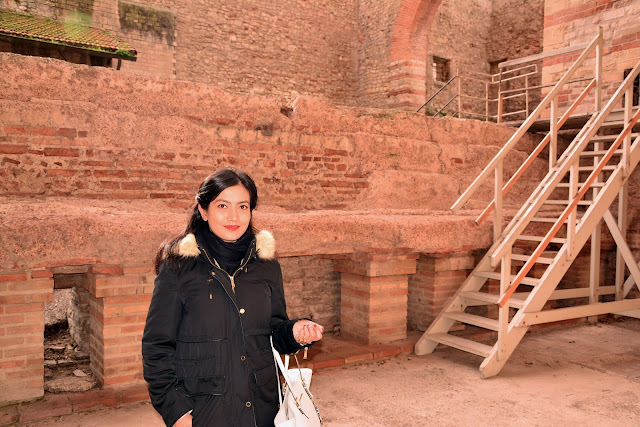 Another landmark is the Roman theatre built in the 1st century B.C. under the reign of Augustus and is one of the first Roman theatres made of stone. Finally on the most important administrative square of Arles facing the Town Hall is an obelisk erected by Constantine in the 4th century as the center piece of a Roman circus which was the venue of chariot and horse races. 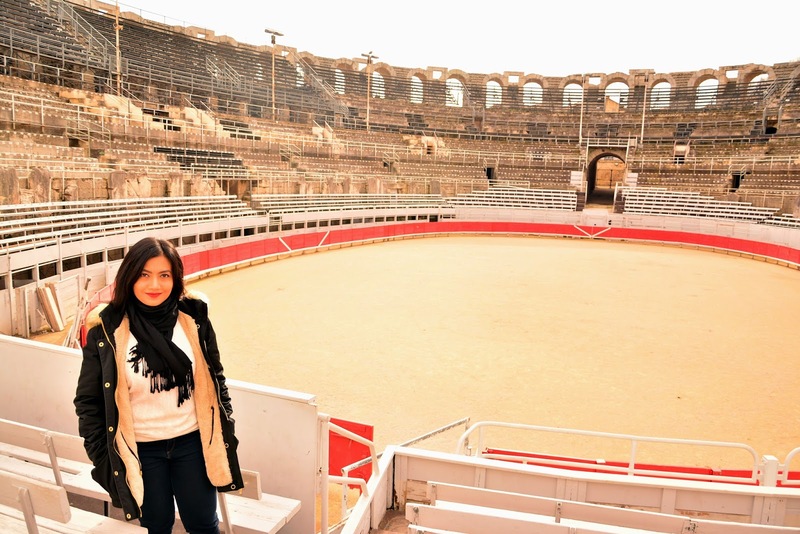 The circus is located on the banks of the Rhone downstream from the city center. However the obelisk was placed at its current location by Louis 14 in 1676. I will end this write up aptly with a portrait done by Van Gogh which can be seen at the Musée d’Orsay, Paris which was painted sometime during those 14 months he spent in the town, and is simply called L'Arlésienne or the woman from Arles.